Chloee Kuk, BBCHS Junior, reflects back on her experience working as the makeup intern for the 2017 summer musical, "The Lion King Jr.". Official poster from the BBCHS production, "The Lion King Jr.", directed by David C. Morgan. Although actresses and actors in plays and musicals are considered to be the “face” of the show, have you ever wondered who is in charge of the actual “face” of the show? 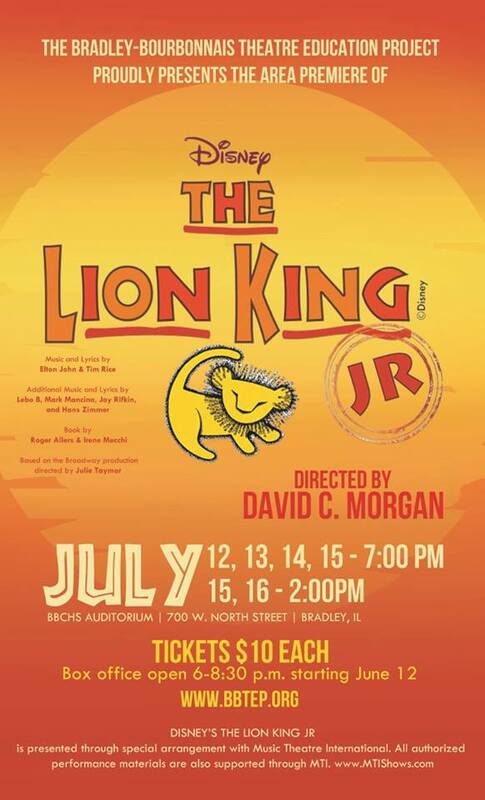 This summer, the BBCHS Drama Department gave many opportunities to get a first-hand look on what it is like to work backstage with the young actresses and actors in the BBCHS production, The Lion King Jr. Without people like Chloee working efficiently and contributing behind the scenes, theatre productions would not be able to happen, let alone look as great as they do. For more on this story including pictures of Chloee’s amazing makeup work, check out her interview on the second installment of Double Vision when it airs on Friday September 15, 2017, on our YouTube channel at, Boiler Media BBCHS.